No one seems to know exactly when her love of animals began, but it seems that it might have been from birth. 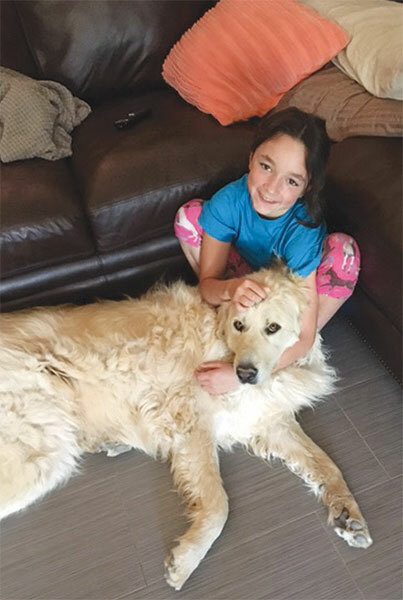 Harper Culliney is a 9-year-old with a big love of animals, pretty much all animals but especially BIG animals. She is charming and confident; her young age is in as sharp contrast to her mature bearing as her relatively slight stature is to her love of large animals, some so large that they dwarf fully grown adults. Among Harper’s favorite animals is Little Doc, a horse who is part Clydesdale, whom she knows from riding him at the organization Therapeutic Ranch for Animals and Kids (TRAK), here in Tucson. 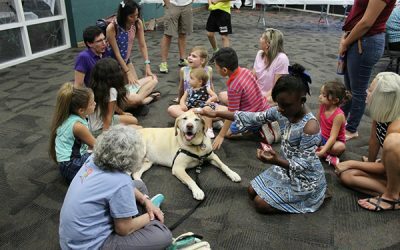 TRAK’s goal is to give kids exposure to animals; many of the children have special needs. Harper has the distinction of being the youngest volunteer. Although she is only 9, the staff at TRAK made an exception to their volunteer age requirements because Harper takes direction well, is mature, and she focuses on safety while working around the horses. 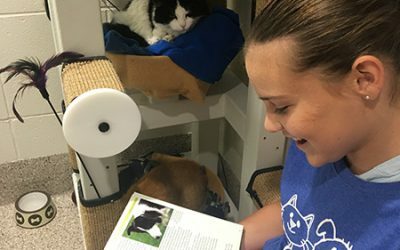 In order to become a volunteer, Harper completed a training class where she learned to care for the animals. Shockingly, mucking stalls is among her favorite chores! Harper said she thinks it’s funny to watch the horses trying to stick their noses in the muck carts while she’s cleaning the stalls. Additionally, she brushes the horses, and walks the turkey… Yes, you read that right, after mucking stalls, Harper walks TRAK’s ranch turkey on a leash! The first time she did this she said, “It freaked me out,” but now it is just part of her routine. On the home front, Harper lives with her mom, dad, 11-year-old brother Reece, two cats, and two pretty ginormous dogs. Her dogs are as unusual as she is: one is an Anatolian Shepherd and Great Pyrenees mix, the other a Pyrenees and Kuvasz mix. All three giant breeds are herding and working dogs, known for being strong and protective. 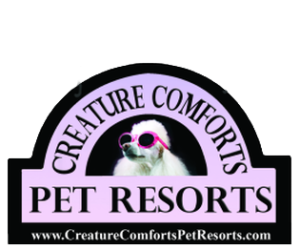 According to the American Kennel Club, the Kuvasz is the smallest of the three, and typically weigh between 70 and 115 pounds. Although she is a born animal lover, Harper says her brother is not as much. He thinks that “horses smell,” and the family dog, Pablo, “sometimes tries to trip him.” While he may not love animals as much as she, the siblings worked together to raise money for animal rescue by selling juice they made from tangerines picked off the family tree, so he obviously cares about animals! Perhaps Harper’s seemingly genetic predisposition for love of animals comes from her grandparents, both sets of whom have long animal care histories. Grandma Shirley lives in Prescott and volunteers with a rescue/sanctuary, Circle L Ranch. This includes bringing rescue dogs to adoptions where Harper often helps out when the family goes north for a visit. Harper excitedly reported that one of the rescue pups, a black Labrador retriever, was named Harper in her honor. Of her many tasks when helping out, one favorite is getting to play with the dogs. 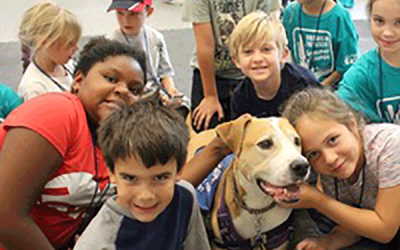 Harper has become the unofficial poster girl for demonstrating the friendliness of pit bulls at the adoption center. Her love of animals extends to bizarre animals; her most unusual pet to date was a hissing cockroach. The roach came as a reward from her second grade teacher. Upon getting it home, they discovered that the roach was, in fact, a pregnant female. There were soon many baby cockroaches. Where many might have considered this twist of events to be more punishment than reward, Harper took the opportunity to learn about the roaches. She shared that the hissing noise is actually more of a sighing the roach makes by filling its body with air and releasing the air when frustrated. I was reminded of an insect-bagpipe. Harper has many varied interests, and a very busy schedule. She enjoys reading, and recommends the book My Dog, My Hero, by Betsy Cromer Byars. On Mondays, she does yoga; Tuesdays and Thursdays, she plays viola in the orchestra; on Wednesdays she plays tennis. Her favorite classes are art and PE. She self-described as “obsessed” with Halloween and shoes–all kinds of shoes! She enjoys music, singing, and dancing. She would like to be a horse trainer, veterinarian, or work at a pet adoption center when she grows up. The Tucson Dog gives Harper two paws up! Special thanks to Tucson Dog reader Shirley Culliney for letting us know about Harper.